Jerry and his wife Mavis are the owners of Telstar Motors in Mitchell, South Dakota. They deal exclusively in Mustang and Shelby restorations. 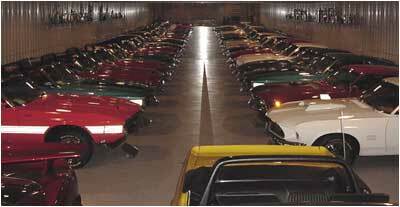 In addition, Jerry and Mavis are the founders of the first Shelby and Mustang museum containing at least one Shelby from every year and model of production. "Many people have talked about starting a Mustang and Shelby museum, but we actually did it," Jerry says with a smile. The museum resulted from their constantly growing personal collection which started in 1979. While building the museum they completed two personal restorations each year. People have come from all over the world, including Sweden, South Africa, Turkey, France, Japan and Australia to see this collection. A remodeled showroom, including temperature and humidity control and a sound system playing muscle-car era music, was completed before the museum's opening in June of 1990. Jerry and crew restored every car, from placing the bodies on a frame jig to ensure perfect alignment to hand painting instrument needles. Every bolt in these classic cars has been removed, inspected, cleaned and rethreaded or replaced. 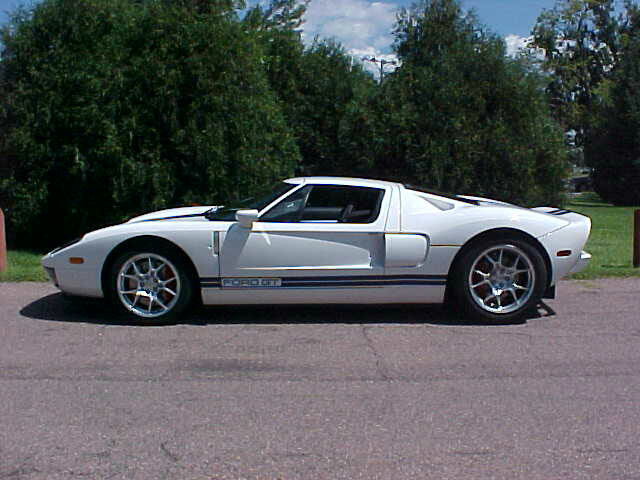 All the Cobra and Shelby titles have been autographed by Carroll Shelby. The display boasts three Shelby GT 500 King of the Roads, one red, one white and one blue. Two extremely rare GT 500 428 Super Cobra Jet Drag-Pack convertibles are another standout in the collection, as are the two consecutively serial numbered Boss 429 engines. A white 1969 Boss 429 "NASCAR" #KK1318 in stock condition houses one of these engines. In the engine display area the other Boss 429 "Hemi" Tunnel Ram in full race trim allows visitors to view this awesome power plant. Next to it is a Cobra dual four barrel 427 side oiler, a Boss 302 and a 289 high performance engine. The black and gold 1966 Shelby GT 350 Hertz, a model made specially for the Hertz Rent-A-Car company, is also very unique. Jerry's personal favorite is an authentic 1965 289 Cobra sporting rare dual four barrel carbs, red paint and wire wheels. The 1965 Cobras, the only American car ever to do so, defeated Ferrari to win the world championship. When is the last time you have seen a real one of these? This collection of Shelbys and Mustangs also includes a 1964 1/2 Mustang convertible, a black with red pony interior 1965 high performance GT fastback, a 1965 Shelby GT 350, a 1966 Mustang GT convertible, a 1967 Shelby GT 350, a 1967 Shelby GT 500, two 1968 Shelby GT 350 convertibles, a 1968 Shelby GT 500 convertible, a 1968 Shelby GT 500 KR fastback, two 1968 Shelby GT 500 KR convertibles, a 1969 Shelby GT 350 fastback, a 1970 Boss 302 and a 1970 Shelby GT 350 fastback. Jerry has been in business since 1965 and his involvement with Mustangs dates way back to February of that year, when he purchased a brand new 1965 convertible. His first Shelby was in 1968. If you like sporty high performance cars this Mustang and Shelby museum is a real treat.